New MP Kenneth Wang says it is somewhat ironic he is an Act Party member, given his family's background as high-ranking members of China's Communist Party. 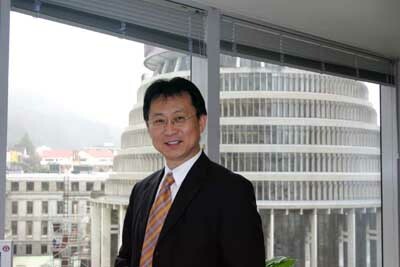 Mr Wang, who gave his maiden speech in Parliament yesterday after last month replacing disgraced MP Donna Awatere Huata, told the Herald his father, Minqing Wang, was the private physician for Mao Zedong's wife, Jiang Qing, and treated other top communist officials, including Mao on some occasions. And his grandfather, Shinying Wang, was a high-ranking soldier in the Red Army and held high positions in the communist Government. He died during the Cultural Revolution after being arrested and tortured by the communists. In yesterday's speech, Kenneth Wang said he followed in the "proud footsteps" of his parents and grandparents, who devoted their lives to striving for a fair and prosperous society. "For them, their battle for what was right cost them considerably." Mr Wang, 49, who is the country's first male Chinese MP, said his father and grandfather were great followers of what they believed in and were committed to building a better society. He said his 76-year-old father, who previously lived in New Zealand but has returned to China, supported him in his political career and supported the Act Party. "He has been a lifetime communist member and still is. But China has introduced a market economy, and now rewards whoever works hard. And he thinks the Act Party is promoting the same thing. It is quite ironic." During the speech, Mr Wang made an apparent reference to New Zealand First MP Winston Peters saying: "A few years ago I was one of many Asian New Zealanders who was deeply hurt by one politician's statements implying that we were responsible for every evil in this land." Mr Wang said Act was the first party to publicly condemn such attacks. 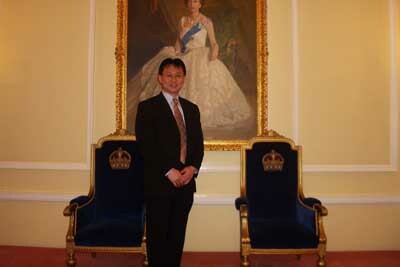 "In reality, Asian New Zealanders have made a huge contribution to this country since first arriving for the Otago gold rush. Without immigration this country would be a much poorer place both economically and culturally," he said.